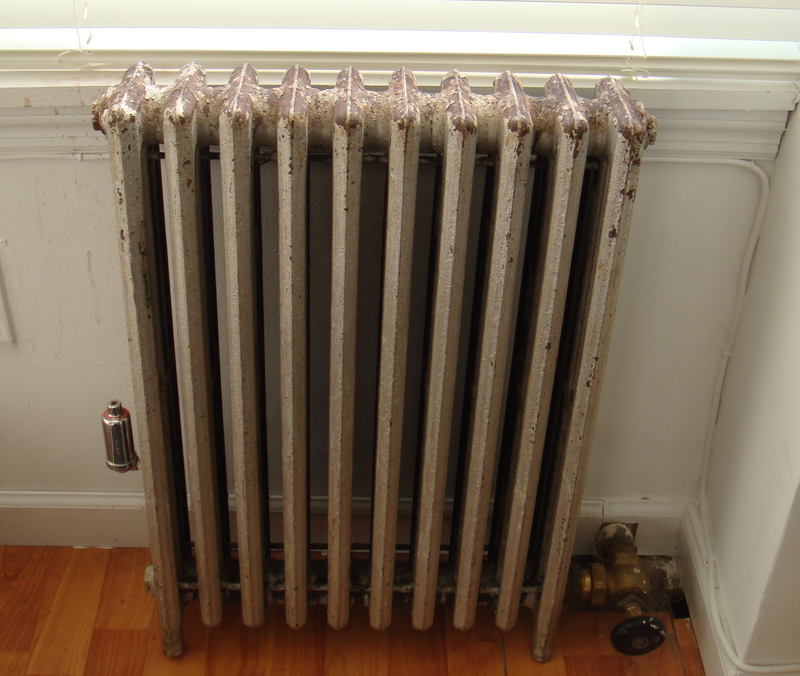 When I came home to see this old, rusted, beat up radiator my landlord so generously installed in my apartment I couldn’t wait to paint it. 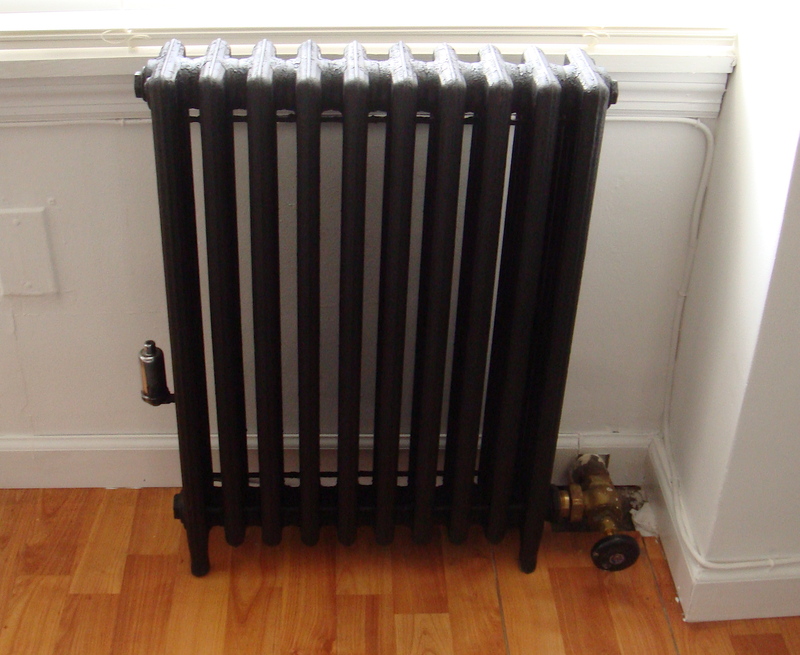 I painted the radiators in my previous apts so there was no hesitation to paint this one. I always hand painted them white but for this one I thought to spray paint it matt black. NEVER spray paint anything IN your home. What a mess!! (Even though I put paper around the radiator). The time I saved by spray painting was spent trying to clean everything the black mist landed on…. It looks much much better! White would blend it in, but black give a punch, very cool~ Bwt, how did you get rid of the smell of the spray paint? i painted some stools in my garage a while ago (it rains constantly outside), the garage smelled like paint for a week. It looks great, but I totally hear you re. spraypainting – it´s an awful mess.